​Ratana and Kiri. Ratana in Khmer means gem and Kiri, mountain. These are the two features for which Ratanakiri, this remote province of Cambodia, is best known. 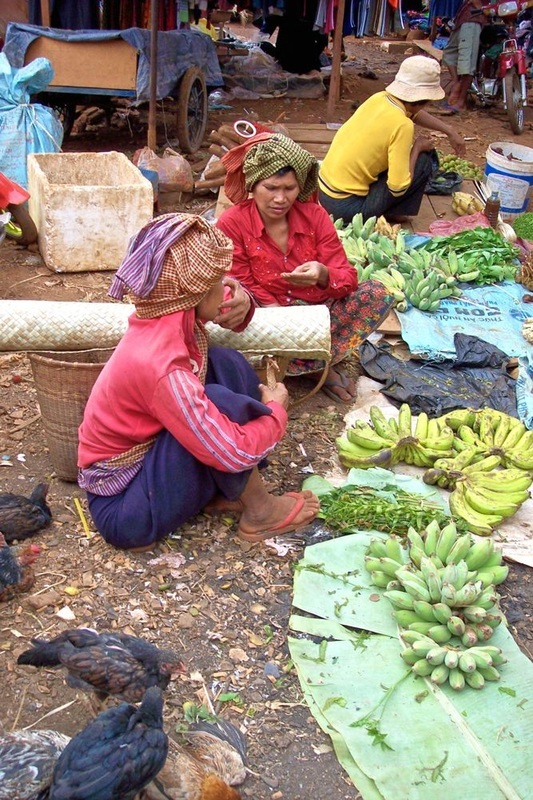 Sparsely populated with around 125, 456 people (2005), Ratanakiri is renowned for its unique natural beauty, rich natural resources and exquisite landscapes including its level plateau, undulating hills and mountains, crater lakes, watershed lowlands, waterfalls and rivers. Because of this natural beauty, two places have been designated as national protected parks: Lumphat Wildlife Sanctuary and Virachey National Park. Best of all, it's almost a secret. So, go quickly if this is your idea of beauty. There are two rivers crossing the province: Tonle San and Tonle Sre Pork, both abundant with fish. And around the rivers, Ratanakiri has one of the most diverse forest ecosystems in Southeast Asia. ​Its forest cover varies from area to area, from the dense impenetrable jungle-like forests still rich in wildlife in the northeast, to the drier and sparser forest in the southwest. Ratanakiri offers rich opportunities for Eco-tourism in Cambodia and it is NOT spoiled.......yet. Life, even in the province's capital, Banlung, is still simple. Farmers till the earth and work the rice paddies with hand tools. 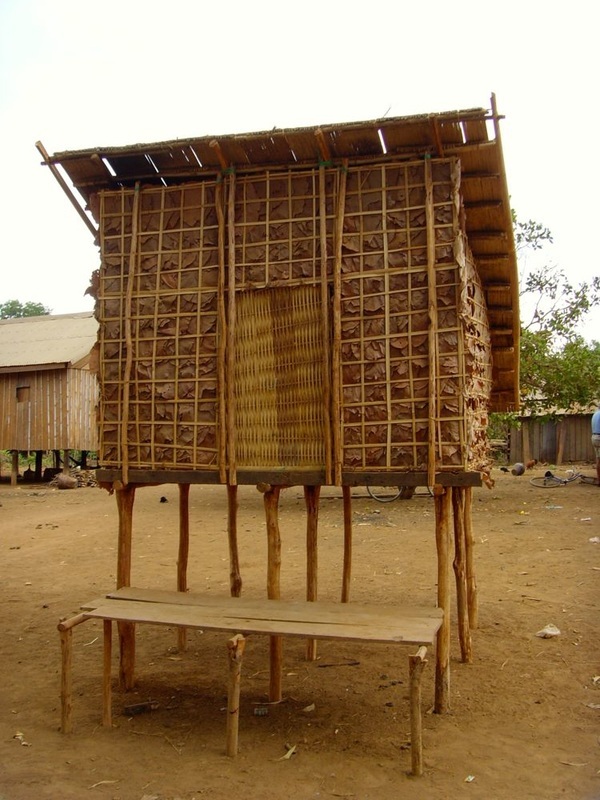 Villagers live in hand-built stilt wooden houses. About 75% of the population are indigenous. At night, closely knit village communities gather around the fire and share a warm meal and homemade rice wine. As they live close to nature, they still practice animism with sorcery and black magic. This is "Indochine" and a living peek at history. 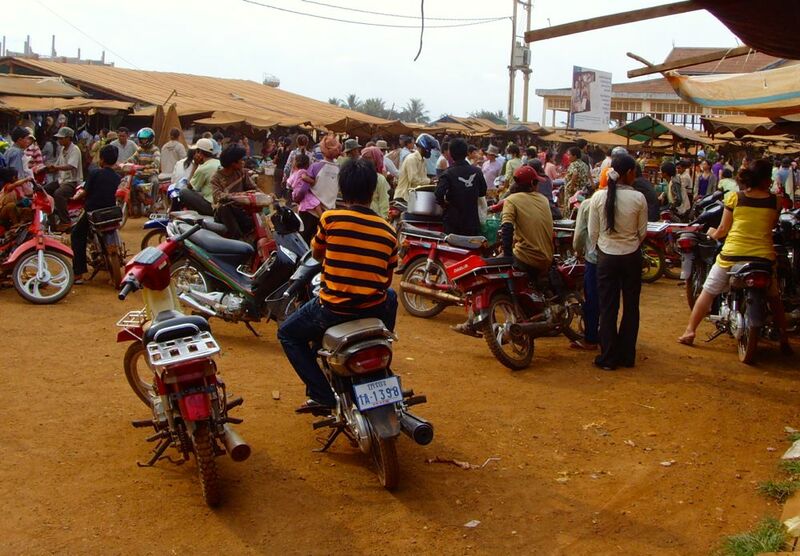 Ratanakiri can now be reached by road in around 10-12 hours if you have your own transport. It is better to take it in two legs though, with a stop in Kratie where you can watch the very rare fresh water dolphins. Kratie is a great town and well worth a walk about. By public transport, the trip includes a stop in Stung Treng: Phnom Penh to Stung Treng and then Stung Treng to Banlung. Again, pay for 2 seats for yourself so you get some space. Otherwise, the ride is more of an adventure that you might not care to have. Also, do not bring anything white. This is red dust province. Wearing white will just be a disaster. The number of young Europeans trekking up here is remarkable as it is so close to Lao. The trekkers link up quickly and really are a spectacle on their own. From Laos, you can take the border crossing, Voeung Kam, Laos/Dom Kralor, Cambodia. Cambodian visas are available at this crossing. From Dom Kralor, take a taxi or bus to Stung Treng and then take another taxi or bus from Stung Treng to Ratanakiri. You will be enveloped by the earth's calm as you approach Yeak Laom Volcanic Lake. It is a 700,000 year old volcanic crater lake in a lush, peaceful jungle setting. 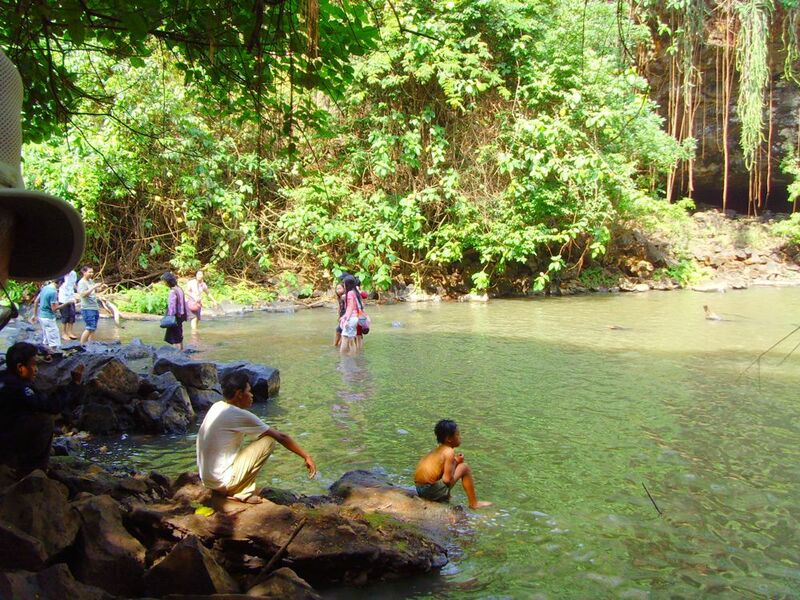 The area around has been declared the Yeak Laom Commune Protected Area. The lake and the area are considered sacred by many of the Khmer Loeu peoples, and are steeped in local myth and legend...so once again be respectful. If you drop trash, local spirits will gather it together and magically send it home to your mother with a stern letter. The lake is 800 meters in diameter and 47 meters deep, and is ringed by a 2.5 km hiking trail. Around the lake are the five villages of Lapoe, Lon, Sil, Chree and Phnom, home to the Tampuan minority group. Members of this minority group formed the Yeak Laom Arts Group dedicated to preserving their music, dance and culture. The songs that they plan to record on a CD cover aspects of Tampuan life from child rearing to pounding rice, to religious offerings, to caring for their buffaloes to death rituals. If you are lucky, they may share some of these with you. On the lake trail, The Yeak Laom Cultural and Environmental Center displays Khmer Loeu handicrafts and hand woven fabrics. Take pictures (after asking) of the artisans making these artifacts as this will really add life to your stories when you get home. Have a swim and a picnic. It is very calm in the area. You can rest your weary self. ​Virachey National Park, 37 km northeast of Banlung bordering Laos and Vietnam, is a heavily jungled and mountainous area and has not been completely explored. To trek here, get an experienced local guide. One thing you do NOT want to discover is a leftover mine! Covering an area of 3,325 square kilometers, Virachey National Park is the largest protected park in the region. You can trek the park or go by boat. You can also stay overnight with the tribes or community guesthouses. While you can enjoy its biodiversity including hundred year old trees, hornbills and woodpeckers and the life of its ethnic minorities, you will also be confronted by the devastation left from previous conflicts. Make sure to get good recommendations from former trekkers or your hotel. Some of these guided treks only touch the outskirts of the park so make sure you have clear expectations for your guide of the things you want to see and experience. Trekking is really an enjoyable activity in Ratanakiri especially in the Park. You have to do this with a guide as there are still land mines in the area. It is interesting to visit more than one tribal village to see the distinct characteristics of the various Khmer Loeu minorities. Ratanakiri is home to about 60,000 ethnic minorities including the Tampuan, Krueng, Charay, Prov Kachak, Kavet, Lao, Loun and Phnon and Brou. Each of these groups retain their own unique culture, tradition, belief and language. Visit Tampuan and Charay villages to see their distinctive cemetery totems and long houses. Go to Krueng villages to see their traditional farming techniques and distinct high houses. ​Most of these minorities live very simply without the modern amenities we are used to. They use gas lamps and they do not have radio, television, electricity, running water or computers. They grow cashews, sesame and vegetables. Their meals are very simple, mostly vegetables with the occasional meat when they are able to go to the market. Many parents, though, encourage their children to go to school and some of them hope to have university education. One student who is now at Grade 11 from the Tampuan tribe works as a moto driver to support himself to school. Another girl supports herself by working as a maid to the neighbours but she is determined to continue her studies up to university even if her family tried to stop her. Many in these groups do not bring their sick to hospitals as these are far from their villages so many die at an early age and often, these deaths are attributed not to physical but spiritual causes such as displeasing the community spirits. Remember...these folks are NOT objects. They have the same feelings, aspirations and dreams as you have. Reach out. They are often welcoming. If you want to take a picture, ask. Smile and say hello. Buy some bananas, jackfruit or other fruits to take with you back to the hotel. Don't be loud and don't point at people...that is especially rude! 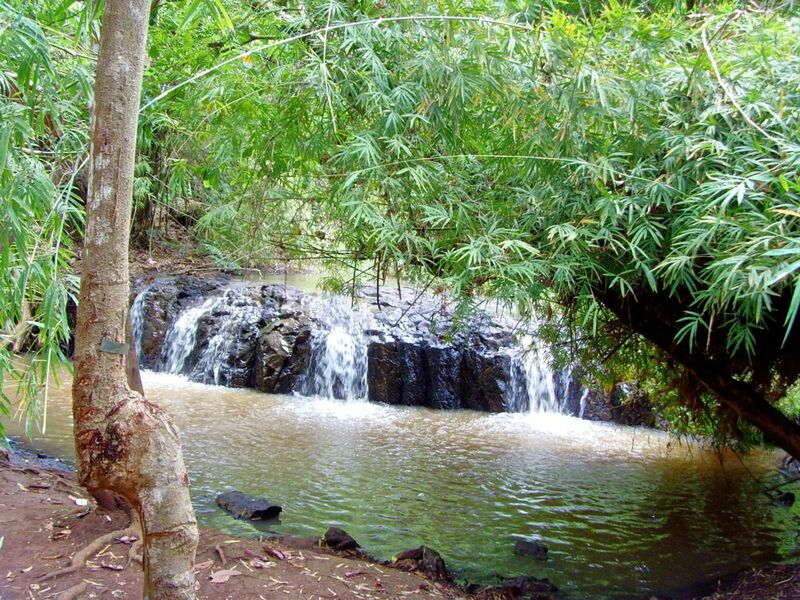 Ratanakiri has several waterfalls all worth visiting. 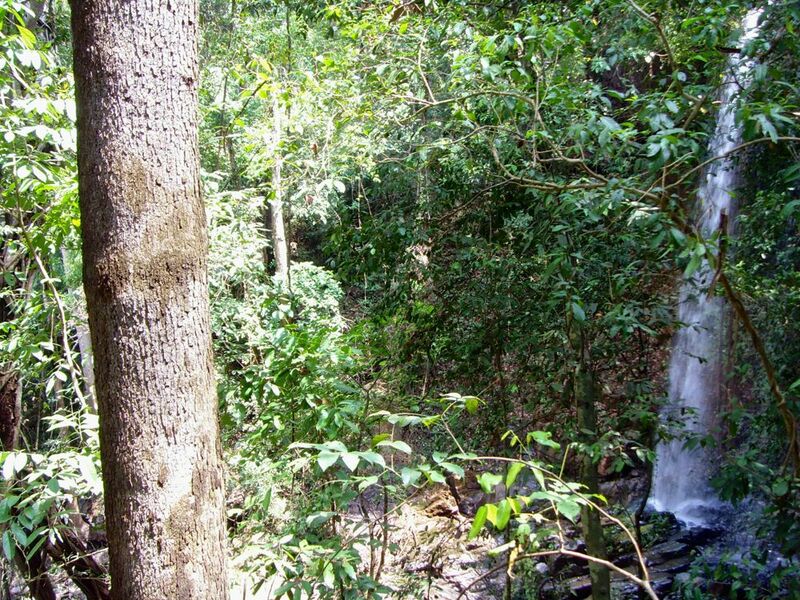 Kan Chang: a wide 7-meter tall falls with a pool at the base big enough for a good swim. Local families will be there with you and this is a great chance to meet people. They are a bit shy...so quietly take the initiative. The younger folks especially want to practice their English...so give them a chance. Ka Tieng: a 10 meter falls set in the jungle. 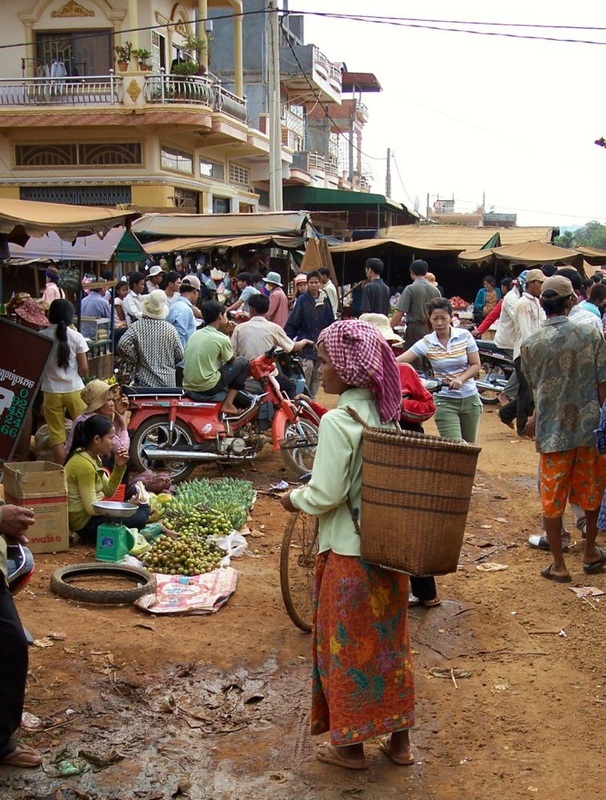 Many Khmer Lou come here in their traditional back strap baskets to sell fruits, vegetables and other forest products including smoked wild meat. You become the strange object, with every one watching you...but if you smile, everyone will smile back and your little area will light up like a Christmas tree. ​This is worth a visit. It is about 2,225 square kilometers of nature with the Sre Pork River and water falls and a mix of hills and forests. This sanctuary provides shelter for elephants, bantengs, tigers, wild buffaloes, bears and over a hundred bird species. 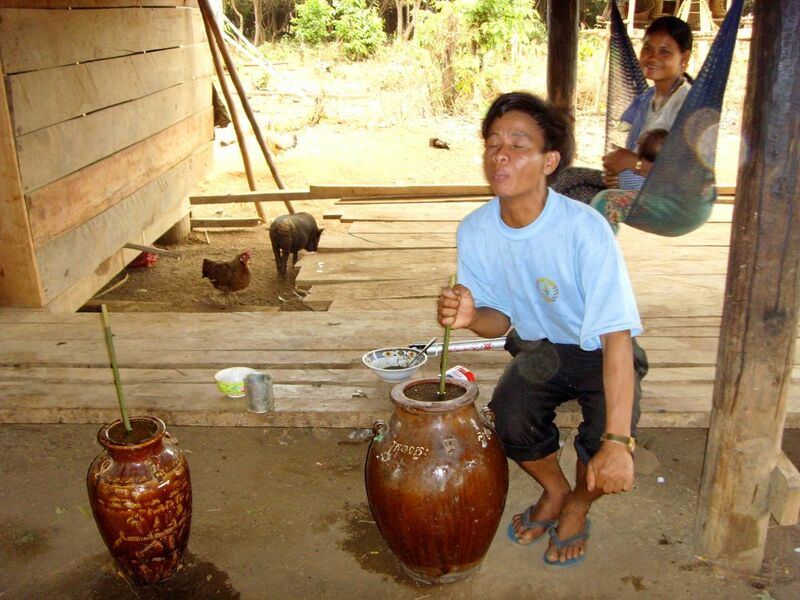 It is also the home of many ethnic minorities mainly the Phnongs who make their living from the resins, vines, rattan and other plants in the forest. Elephants and ox carts can be rented from the Phnongs for those who may hesitate to walk in the forest. We rented our elephants from them when we came to visit. ​About 36 kms from the capital, Banlung, one can see in the Bokeo Mines, miners extract zircon from shallow tunnels. These are the cut and sold in the shops in Banlung. 8. Interested in Sorcery or Black Magic? Ratanakiri is the place to go. I was shocked to read an article in the Cambodia daily about 64 year old Sev Phem from O'Yadaw district in Ratanakiri who is currently in deep trouble about the Pak Touch Village accusation that he is a sorcerer. In the Jarai tribe to which he belongs, this only means death or expulsion from the community where he has spent his lifetime with his 9 children and grandchildren he could not keep track of. Anyway, all Sev Pehm wants is the chance to prove he is not, but the village people will not accept his challenge as they said he can overpower them using black magic. Several families have already moved out before because of similar accusation. Others had no chance to move out as they had been killed. As many people in this remote area still believe in animism, the problem is still acute. Some enlightened villagers hope that with education and the young people's exposure to new developments, this problem will disappear. Modernization has been slow. The Province is situated 636 km from Phnom Penh in the Northeast. A border province, it has Laos PDR to the north and Vietnam to the east. Ratanakiri became a province in 1959 as part of King Norodom Sihanouk's modernization campaign in the northeast of Cambodia. Whatever development took place then brought a mix of blessing and curses and only led to feelings of resentment on the part of the Khmer Lou minorities many of whom were forced to work in newly developed rubber plantations. The ascendant Khmer Rouge at that time exploited this resentment and forged an alliance with the Khmer Lou making Ratanakiri the Khmer Rouge headquarters in 1966. At around this time, North Vietnamese communists had also been active in this area so the province was targeted by the US bombing campaign to get rid of North Vietnamese sanctuaries. Located on the lakeside of Banlung, the capital city, Terres Rouges Lodge is a remarkable and charming wooden structure in the middle of a beautiful garden with rooms tastefully decorated. 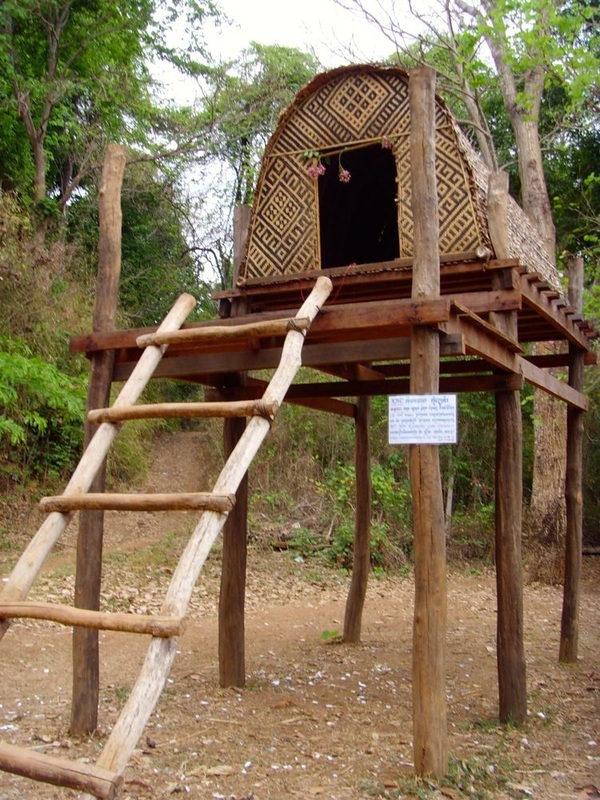 This is Ratanakiri's finest accommodation. Its restaurant, Le Jovial Jarai, has a full bar and serves both Cambodian and French dishes, often, with a local twist. Both French and English are spoken here and the lodge has a boutique with local handicrafts that are reasonably priced and often unique. There are other options, too, often a bit cheaper. Check out Norden House just five minutes from Yak Lom crater, this Swedish owned retreat has currently six bungalows and can do up a very good Western meal for you. Other choices include Lakeside Chheng Lok Hotel, Sovann Kiri Hotel, Mountain Guesthouse, Ratanak Hotel, Tribal Hotel and Yaklom Hill Lodge. But remember, you'll be counting on the hotel to help you set up a few day expeditions...so pick a good lodge. The purpose of the visit is not rest, it's participation! About 36 kms from the capital, Banlung, one can see in the Bokeo Mines, miners extract zircon from shallow tunnels. These are the cut and sold in the shops in Banlung. Look for authentic Khmer Loeu handicrafts and artifacts. Many of their handicrafts like back-strap baskets, hand woven fabrics, gourd vessels, and gongs are mostly still made for use by the local people. Semi-precious gems mined in Ratanakiri such as amethyst, blue zircon, peridot and obsidian are cut and polished in Banlung. Several gem cutting/retail shops sell these gems unset. You can watch them cut these gems using primitive equipment. This is interesting as you can no longer see this in many cities. 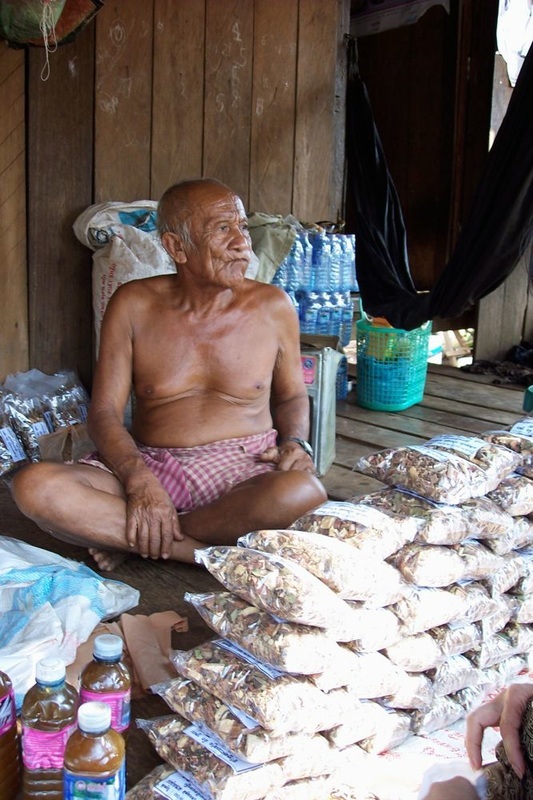 Aside from these, being a deeply forested area, locals gather many of the products, organic and natural such as honey and also herbs with healing attributes based on age-old knowledge. ​Ratanakiri is now experiencing a boom with rubber plantations encroaching on many of its jungles. It is common to see felled trees and clearing when you go around as well as established rubber plantations and those only beginning. I understand that people have to live and appreciate that the government has protected an area in Ratanakiri which is one of the largest areas in the region. Still, illegal logging continues to be a problem not just from the Cambodians but also from the Vietnamese who are lured by expensive timber available in Ratanakiri. Recently, more than 50 ethnic minorities protested that about 500 hectares of their farmland had been seized. As many of the ethnic minorities practice rotational farming, they still don't have a concept of land ownership. Many of them find themselves without their land as city dwellers with better knowledge and resources claim what they thought they owned. 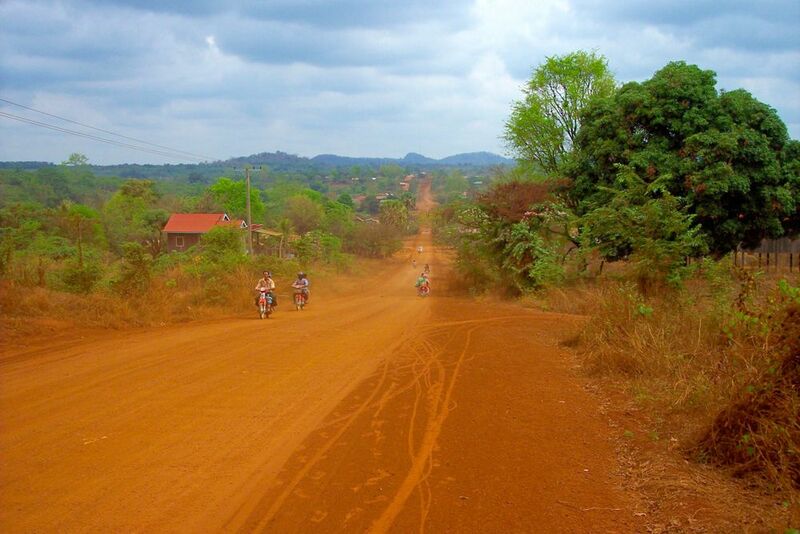 Development has its cost and many in remote places like Ratanakiri will have to face its own challenge. 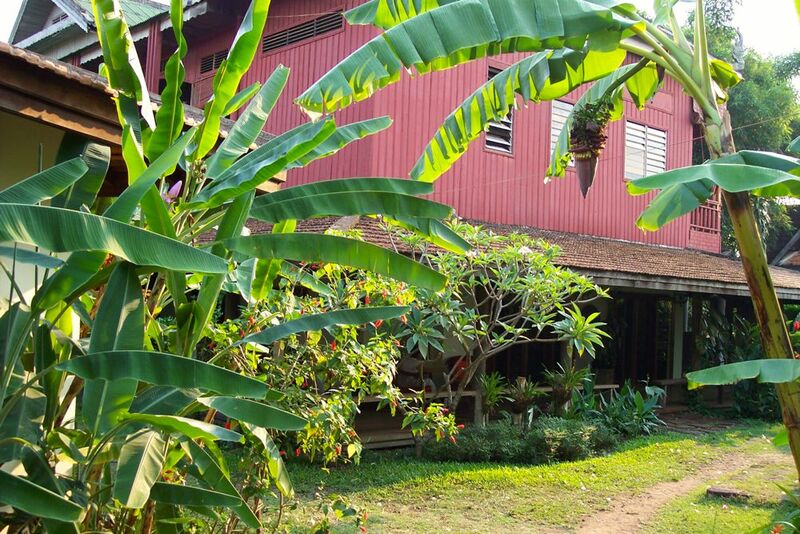 ​Have you been to Ratanakiri? What did you enjoy the most? Please share in the Comments below. Before you leave, let your friends know more about Ratanakiri by sharing this in your favourite social media. Distance form Phnom Penh: 636 kms.